Often, the struggle at dinnertime with your picky eater is not so much about food as it is about control. As children become more independent, conflicts can arise as they carefully scrutinize what goes into their mouths. The more you push, the more they resist with the outcome resulting in tears and frustration. During one of these scenarios, it is not surprising to see picky eater dissolve into hysterics when faced with a tiny lima bean or hear unpleasant gagging sounds after your seven-year-old sniffs the aromatic lemon sauce poured over the baked fish. Then, as the parents become upset, blowing things out of proportion, generally things become worse. Instead, you will need to learn on finding a common ground with your picky eater, one by which you all can live. Try to remember that not all battles are worth fighting. Therefore, you will need to decide which ones are the most important in your house. Hopefully, food will not be one of them because it could potentially turn the pleasure of eating into a control issue that can last a lifetime. Your primary concerns should be whether your picky eater child is getting the requisite amount of calories he or she needs to grow, and if he or she has a proper balance of nutrients to remain healthy. The answer is most likely “yes.” Even if your picky eater child were on a macaroni and cheese kick for the next two weeks, protein, dairy, and other vitamins are still included in the diet. Be realistic in your expectations. Children (not just picky eater children) up to age ten still use their fingers quite a lot in ways that adults don’t, like pushing peas onto a spoon and picking up pieces of meat. They still have some trouble chewing and swallowing tough or dry or fibrous foods, like steak or chops. Part of the problem might be that they don’t have the jaw strength to chew up the meat. Another part is that up until about age eight their swallow is immature. They swallow with their cheeks, as if they were suckling from a straw, not using their tongue like you or I do. Children this age still have a limited number of foods they readily accept. Do not despair. The number of accepted foods will gradually increase, as they get older. The numbers will increase — that is, provided you don’t make a big issue about it. Often times making a big deal can cause and decrease in food acceptance rather then an increase. Learn step-by-step how to successfully cope with Picky Eaters with Help There is a Picky Eater in The House! 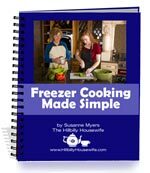 Full of Proven Strategies and Great Picky Eater Recipes that are Guaranteed to Help. Get Effective Picky Eater Help Now! Don’t miss the great additional information in our Picky Eater Resource Section. Are Your Reading to Your Kids?